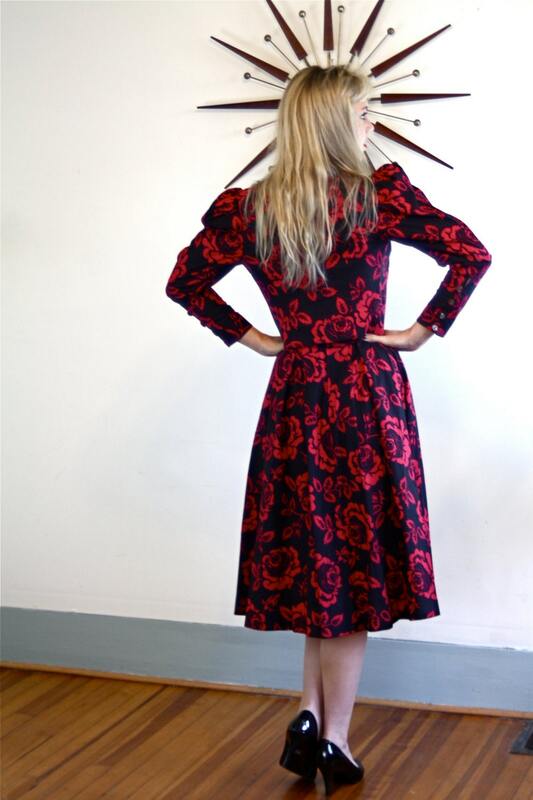 This vintage 1980s Laura Ashley dress and jacket set is so lovely! 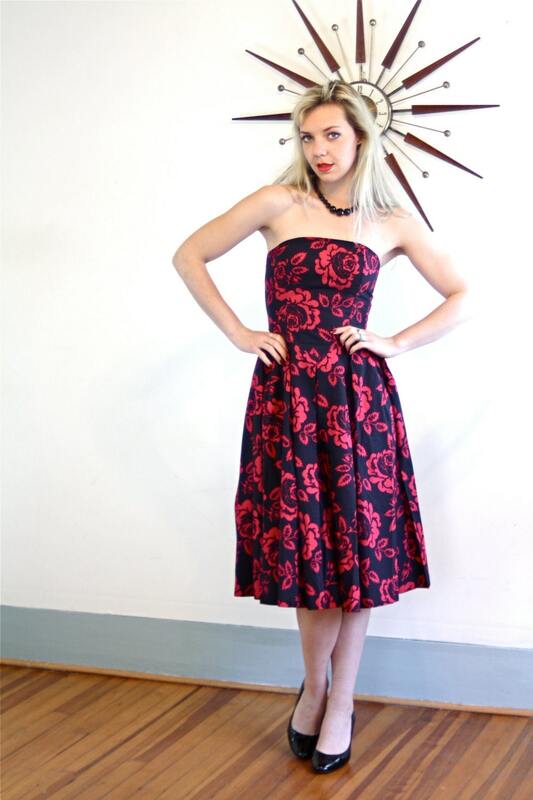 It is styled after a perfect 1950s strapless dress. It is 100% cotton and such a cute print! I love the waist, the pleating, and the beautiful bust line! The bust has boning for support. The little cropped bolero jacket has cool exaggerated shoulders with shoulder pads and no clasps. 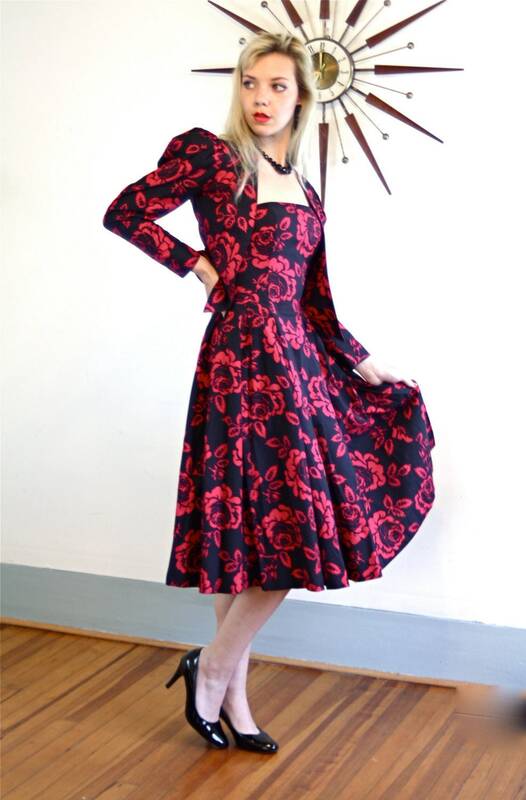 Perfect for graduation, to wear as a guest to a wedding, or just flouncing around town with little flats and a 50s handbag! 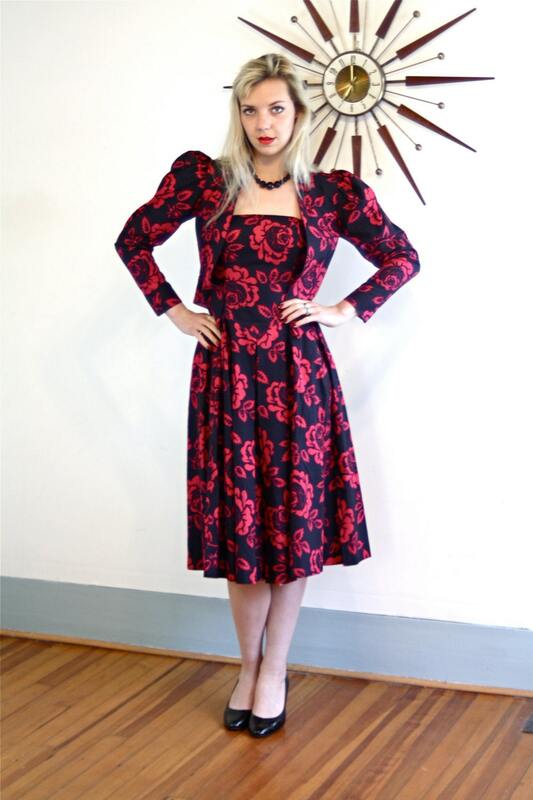 Imagine all the complements and conversations you will have wearing this dress! You will know you are most likely the only one on earth who owns this design! To have a one of a kind dress! That is the magic of Vintage!